French supermarket group Auchan is to open its first experimental ‘smart store’ in France in 2019, with neither employees nor payment tills, and all transactions managed via a smartphone app. The 18m² store named Auchan Minute is set to open in Villeneuve d'Ascq (Nord, Hauts-de-France) in March 2019, and the only regular humans on-site will be the customers. Open 24 hours a day, seven days a week, it will be the first Auchan supermarket of its kind in France. Customers will go the store and log in to the specific app as they arrive. They will then place their selections in a “virtual basket” as they shop, which will charge their bank account just after they leave. If any help is needed, remote customer service staff will be available on screens throughout the store, ready to answer questions or offer extra assistance to shoppers. Auchan already operates 700 stores of this kind in China, and the concept is also known in the United States, after Amazon opened its first such site in Seattle in January last year. The store in France will only be open to Auchan staff at first, but pending a successful trial, the company hopes to roll the concept out across the country. 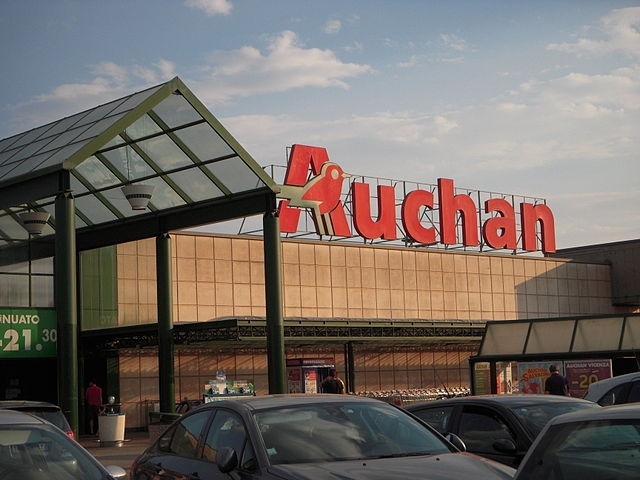 Some workers unions have raised concerns that this new model could see the disappearance of workers’ jobs, but Auchan management has so far not commented on the savings it stands to make, or the consequences for staff.